I picked this up in a yard sale, the old man seemed to know a lot but our language barrier made it difficult to follow and remember his instructions, ridiculously I forgot to even ask him the name of this particular tree, I gathered a few bits of information but some step by step basics would be highly appreciative, I would be mortified should this beautiful thing deteriorate under my care. **I should cut the black cord after approx 2-3 months, he explained it encouraged the tree to grow slanting to one side as intended or as is aesthetically more pleasing? **the soil under the rocks should be moist/damp at most times and if dry I should water the soil. recommendation for watering (I found heavy handed but what the hell do I know), **put the tree under a sink and let the water reach just above the pot, submerge it all until level with the bottom of the roots. You scored! This is one beautiful bonsai. I think it is an azalea. Needs to be watered every day by dunking. It has a larger than normal pot and thus more soil to hold the water longer so I'd need to see some scale thrown into the picture. The critical thing right now is where has this bonsai been living prior to the garage sale? Was it in the sun or was it under a porch roof. Get it out of the direct sunlight and under a porch roof for now for sure. The old man was explaining how to water your tree by submerging the entire pot and waiting until it stops bubbling ensures your plant's roots get water. Did he say every day? He is correct. Ask him when he last fertilized and with what fertilizer. They have to have a little fertilizer, but not too much! Don't give it anything until you are able to find out what the schedule this tree has been on...find out what the guy used. It is obviously also in the bonsai construction process. Ask him when he last root pruned. Where out of doors was this tree kept? Also, find a source of distilled water or a friend's well water. Do not use tap water. Think about taking a bonsai class with this new family member. It will out live you and if you can keep it alive and thriving you will get a black belt in horticulture! This old guy might be a bonsai master! See if he teaches. Find someone who can translate! Use a computer to type, translate back and forth? How cold does it get down under for the winter? Plants in pots have their very tender roots exposed to the cold. I need to know how cold because if it freezes, the soil freezes you will need to bring that guy indoors for the winter. That will take a few weeks of acclimatization to accustom a plant from out of doors to the indoors. Gotta ask that guy what he recommends. A covered porch is a great halfway house but not for cold winters. 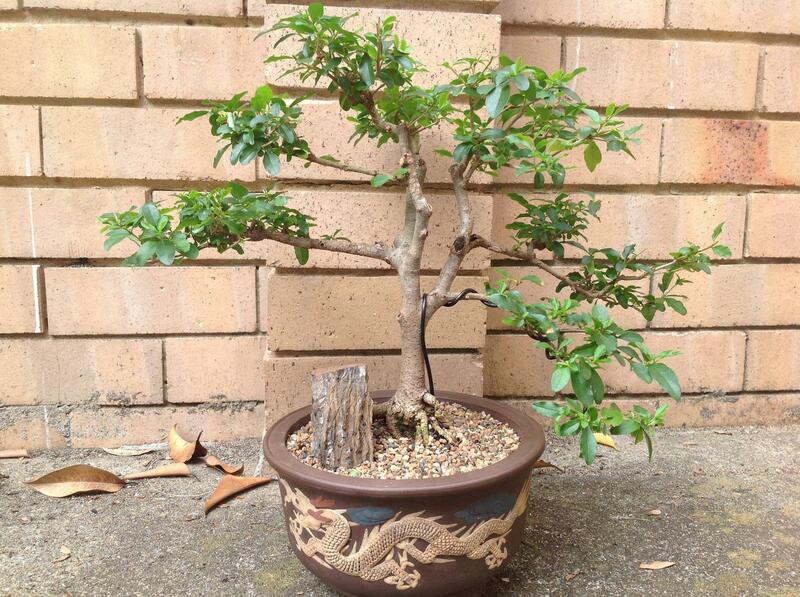 How do I take care of a Port Jackson fig bonsai? I want to grow bonsai from seeds. What are some of the easiest tree species to start with? How can I bonsai a pin oak? 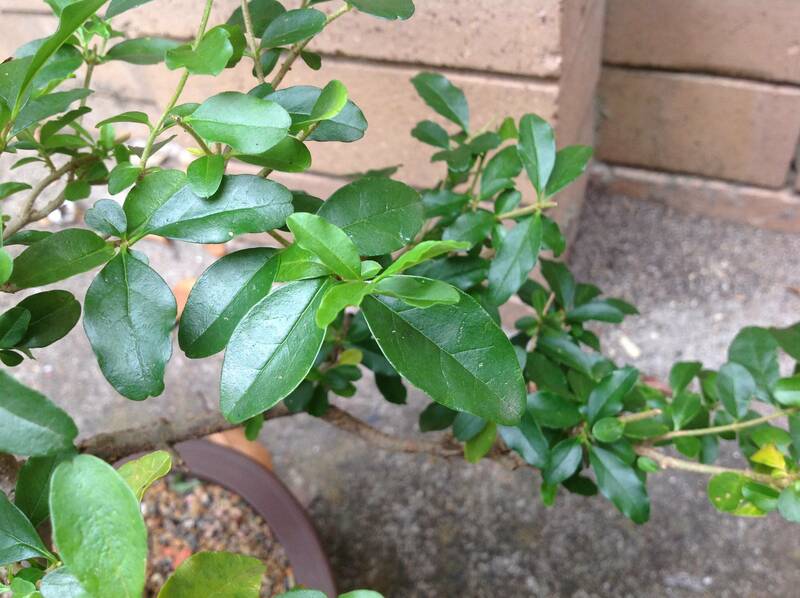 How can I tell when to water my Chinese elm bonsai? What type of Bonsai is this, and how should I take care of it? How to start Gulmohar bonsai from seeds?